Looking for a fresh way to promote your business? 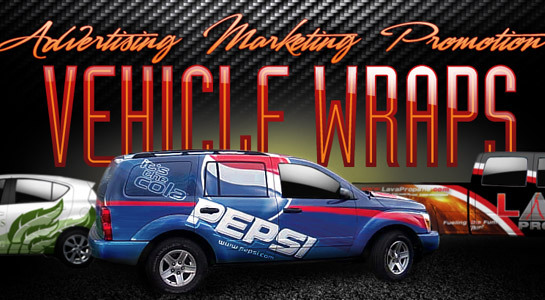 Custom vehicle wraps are a great way to turn your company vehicle into a rolling billboard. With a professional design you’ll make a great impression as you advertise your company everywhere you go. Our friends at J. Gregory Studios specialize in vehicle wraps for San Marcos Companies and they serve all of North County, San Diego and Southwest Riverside County. While vehicle wraps are a smart way to build name recognition and grow your brand, I don’t think they are for everyone. Vehicle signage works great for service-oriented businesses like interior designers, electricians, plumbers, IT consultants, mobile medical services and window installers. For the most part, vehicle advertising makes sense for companies who travel to the customer’s location. For companies who don’t travel to visit clients, like attorneys, dentists, and surgeons, vehicle wraps may not be appropriate.